The Daily Record of Severity of Problems (DRSP) form was developed to aid in the diagnosis and evaluation of DSM-IV Premenstrual Dysphoric Disorder (PMDD). The reliability and validity of the procedure was tested in two studies. 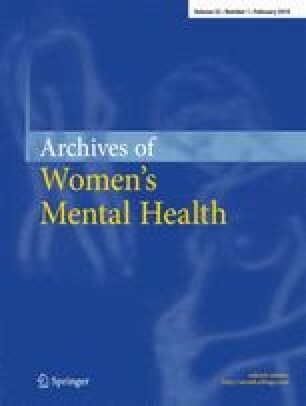 Study A included 27 subjects who ranged from having few or no premenstrual problems to those who met criteria for PMDD. Study B included 243 subjects, all of whom met criteria for PMDD. Individual items and Summary Scores had high test–retest reliability in both studies. Internal consistency of Summary Scores was also high in both studies. Summary Scores had moderate to high correlations with other measures of severity of illness. In addition, items and Summary Scores have been shown to be sensitive to change and to treatment differences in Study B. The DRSP provides sensitive, reliable, and valid measures of the symptoms and impairment criteria for PMDD. Keywords: Premenstrual Dysphoric Disorder; Daily Record of Severity of Problems; reliability; validity; diagnosis. 1.Department of Research Assessment and TrainingNew York State Psychiatric InstituteNew YorkU.S.A.